Back in February, in issue #3 (you can read it here if you missed it), we took a look at cut-off fee policies and a study I did for the 2010 Logics User Meeting. Today let’s take a look at the rest of that study and review what the survey respondents charge for late fees. Flat amount or percentage of unpaid balance? 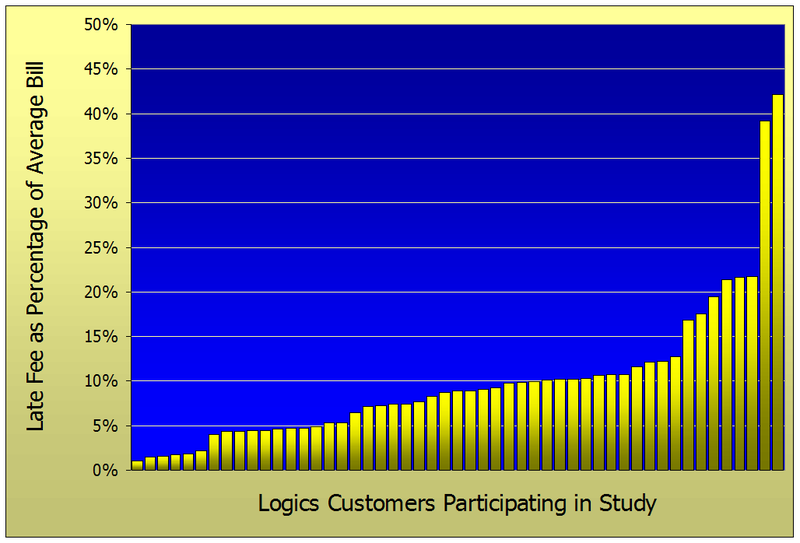 Of the 56 Logics customers who responded to the survey, 32 of them, or 57%, charge a late fee that is a percentage of the unpaid balance. 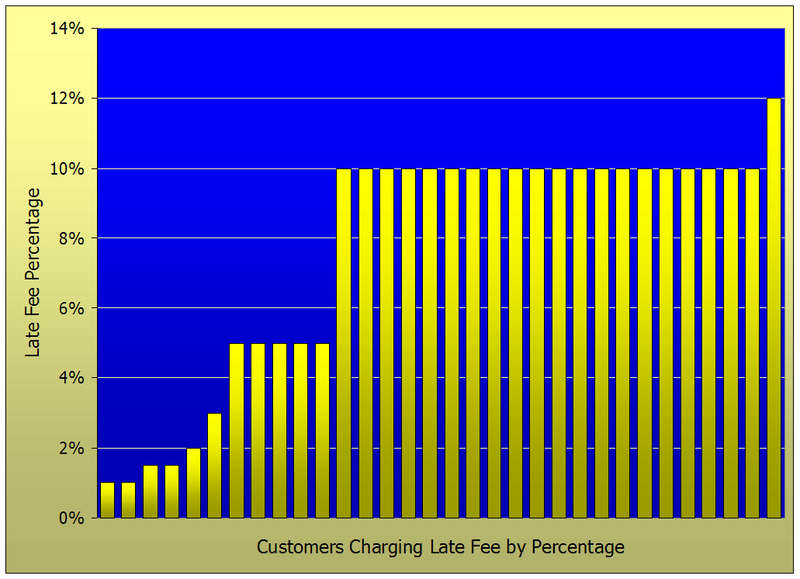 The other 24 customers, representing 43%, charge a flat amount late fee, regardless of the balance due. So how do you go about determining how much to charge as a late fee? 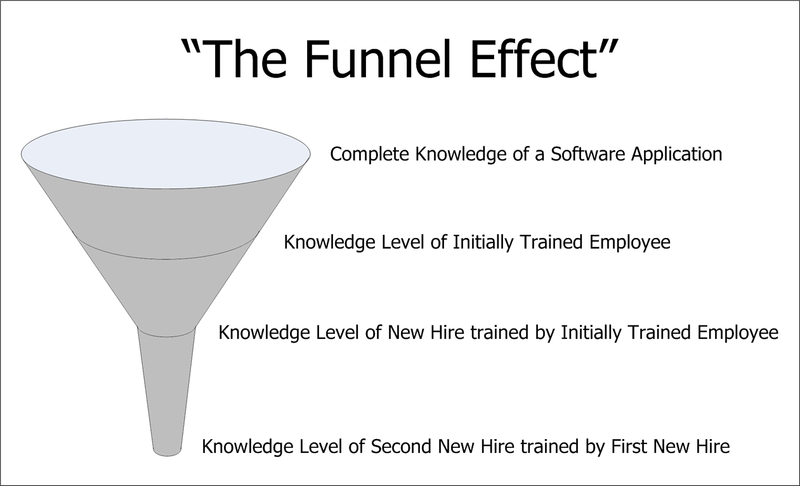 It seems to me that the purpose of a late fee is twofold – to compensate the utility for the loss of operating cash and potential interest income because your customer didn’t pay on time and, secondly, to serve as a punitive measure (which is why some utilities call the late fee a penalty) to entice your customer to pay on time. Of these two reasons, I would argue that the punitive aspect outweighs the cash flow and loss of potential interest income, especially with interest rates as low as they are today. Looking at your late fee as a percentage of your average bill is a good metric to see what the impact of your late fee is and how you compare to other utilities. As you can see, that is an extremely wide range! So, what is the right amount to charge? In determining how much to charge as a late fee, a utility has to take into account what is fair and equitable to its customers while at the same time insuring that the late fee is significant enough to make the customer want to pay before incurring the penalty. 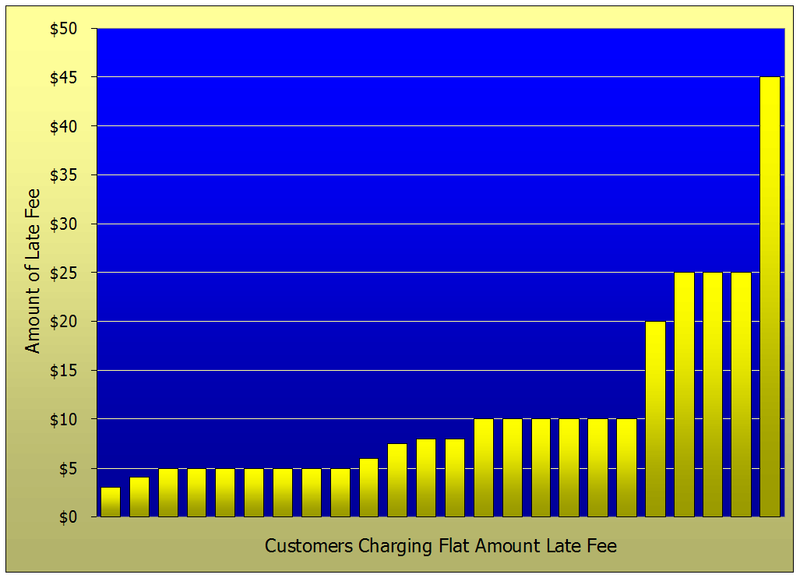 Charging a late fee as a flat amount disproportionately impacts your customers with low bills. A senior citizen living alone who receives a minimum bill every month pays the same late penalty as a large industrial user. This hardly seems fair does it? A more equitable approach would seem to be charging the late fee as a percentage of the unpaid balance. This approach insures that customers with lower bills are assessed a lower penalty. However, if the late fee is too low it may not serve as the motivating factor to pay the bill on time that you intended it to be. 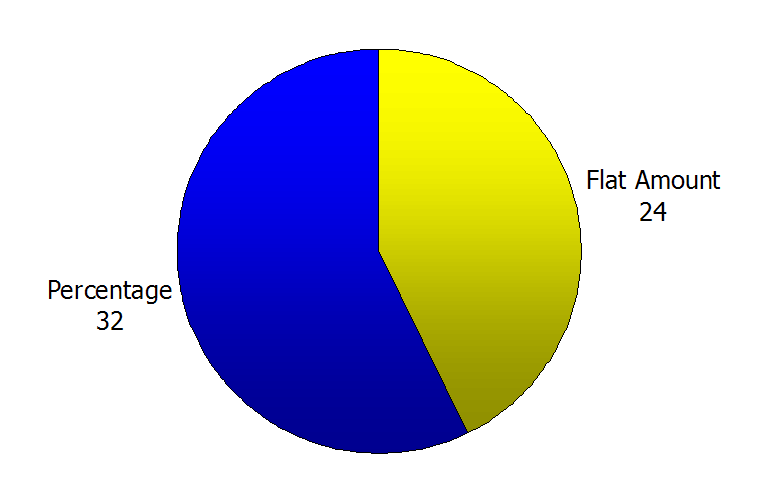 The most creative solution to the flat amount vs. percentage dilemma is a hybrid of the two options. In this case the utility charges a percentage with a minimum amount, for example 5% with a minimum of $10. Oftentimes this is expressed as “5% of the unpaid balance or $10, whichever is more”. If you have any questions about your late fee or would like assistance implementing a revised late fee policy, please give me a call at 919-232-2320 or e-mail me at gsanders@logicssolutions.com.